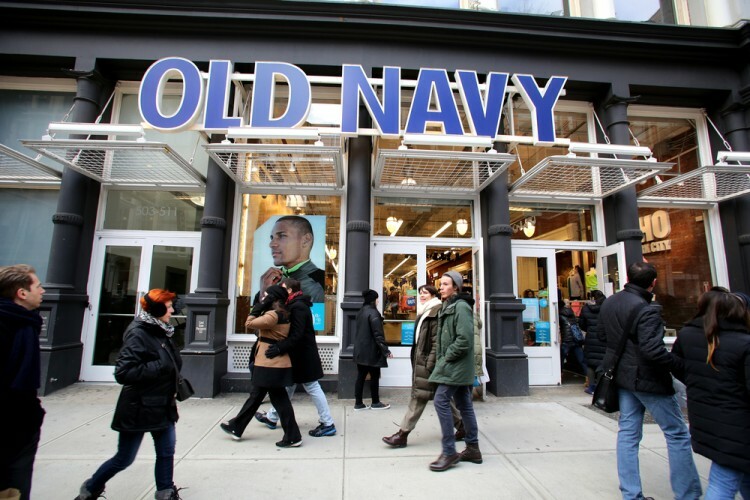 What Smart Money Thinks about The Gap Inc (GPS)? In this article, we are going to take a closer look at The Gap Inc (NYSE:GPS), which saw a decline in popularity among smart money investors in our database last quarter. At the end of September, 28 funds were bullish on the stock, compared to 32 funds at the end of June. At the end of this article we will also compare GPS to other stocks including Snap-on Incorporated (NYSE:SNA), The Cooper Companies, Inc. (NYSE:COO), and Sunoco Logistics Partners L.P. (NYSE:SXL) to get a better sense of its popularity. With all of this in mind, let’s take a peek at the new action surrounding The Gap Inc (NYSE:GPS). At the end of the third quarter, a total of 28 of the hedge funds tracked by Insider Monkey held long positions in this stock, down by 13% from one quarter earlier. 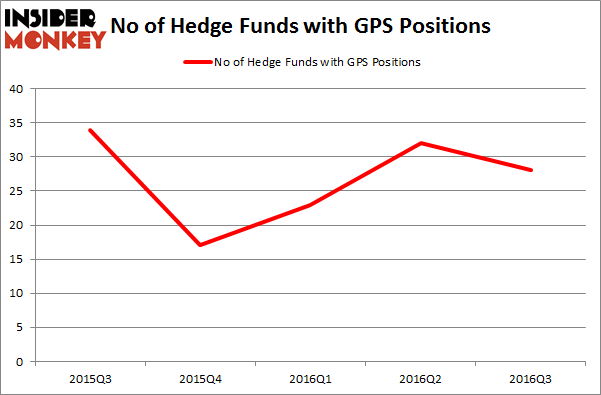 By comparison, 17 hedge funds held shares or bullish call options in GPS heading into this year. So, let’s find out which hedge funds were among the top holders of the stock and which hedge funds were making big moves. According to publicly available hedge fund and institutional investor holdings data compiled by Insider Monkey, Edward Lampert’s ESL Investments holds the most valuable position in The Gap Inc (NYSE:GPS). ESL Investments has a $56.8 million position in the stock, comprising 6.4% of its 13F portfolio. Sitting at the No. 2 spot is Jasper Ridge Partners, led by Mark Wolfson and Jamie Alexander, holding a $41.3 million position; the fund has 2.6% of its 13F portfolio invested in the stock. Some other professional money managers that hold long positions contain Israel Englander’s Millennium Management, Joel Greenblatt’s Gotham Asset Management, and David Harding’s Winton Capital Management. We should note that none of these hedge funds are among our list of the 100 best performing hedge funds which is based on the performance of their 13F long positions in non-microcap stocks. Hedge Funds Are Doubling Down On WSFS Financial Corporation (WSFS): What Do... Hedge Funds Remain Unimpressed by POSCO (ADR) (PKX) Is Controladora Vuela Co Avcn SA CV (ADR) (VLRS) Going to Burn These Hedge... How WCI Communities Inc (WCIC) Stacks Up Against Its Peers Xcel Energy Inc (XEL): Smart Money Ownership Continues to Dreadfully Lag Peers... Is Southern Co (SO) A Good Stock To Buy?